During the last 100 years, the worldwide yields of cereal grains, such as wheat and rice, have increased dramatically. 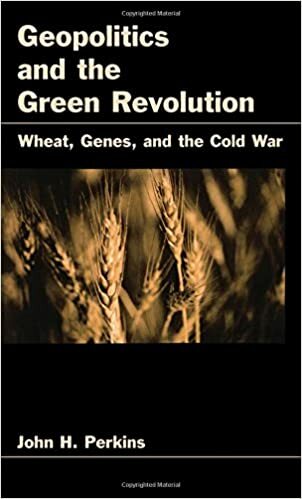 Since the 1950s, developments in plant breeding science have been heralded as a "Green Revolution" in modern agriculture. But what factors have enabled and promoted these technical changes? And what are the implications for the future of agriculture? This new book uses a framework of political ecology and environmental history to explore the "Green Revolution's" emergence during the 20th century in the United States, Mexico, India, and Britain. It argues that the national security planning efforts of each nation were the most important forces promoting the development and spread of the "Green Revolution"; when viewed in the larger scheme, this period can be seen as the latest chapter in the long history of wheat use among humans, which dates back to the neolithic revolution. Efforts to reform agriculture and mitigate some of the harsh environmental and social consequences of the "Green Revolution" have generally been insensitive to the deeply embedded nature of high yielding agriculture in human ecology and political affairs. This important insight challenges those involved in agriculture reform to make productivity both sustainable and adequate for a growing human population.